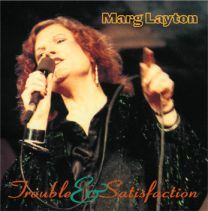 On Trouble & Satisfaction, Marg’s long awaited recording debut, she has brought together the significant songs and influences which have shaped her blues performances over the last couple of decades. A wide range of styles are featured, from primitive country blues and gospel to the sophisticated urban blues of Louis Jordan’s 'Trouble Then Satisfaction', which inspired the album’s title. The great women blues singers of the twenties and thirties, often overlooked today in favour of their male counterparts, are represented in songs from Alberta Hunter, Bessie Smith, Ida Cox and Memphis Minnie. To match the range of styles presented here, Marg has drawn from her large pool of regular accompanists to give each song an appropriate musical setting. The result has been to capture the essence of a Marg Layton concert performance, and shows why she is affectionately known to her audiences as “New Zealand’s Empress of the Blues”. A sampler of the best blues you'll hear today, in Wellington - or anywhere. The album features recordings by well-known Wellington blues artists Marg Layton, Darren Watson and The Windy City Strugglers. 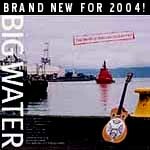 Includes Dave Murphy's 'Cigarette Machine' available on CD for the first time.